Just because a health care provider offers a treatment doesn’t mean that person is qualified to perform the treatment. Ask for references, talk to patients and confirm certifications. Unlike a health problem or medical condition, nonsurgical aesthetic treatments are entirely optional. You don’t have to fill in those wrinkles, erase those broken blood vessels or minimize that redness. You do it because you want to. Only licensed health care professionals can purchase onabotulinumtoxinA. Plastic surgeons or dermatologists routinely administer onabotulinumtoxinA , although any physician with special training in facial anatomy may perform the injections. Some states also allow nonphysicians such as registered nurses or physician assistants to administer the drug if they are directly supervised by a physician. Regardless of who administers your injection, always ask to see the vial and look for the manufacturer’s safety hologram to ensure you are treated with authentic product. It only takes a few minutes to be treated with onabotulinumtoxinA, and the effects last up to four months. Botox Cosmetic costs an average of $350 to $500 per area of treatment, and costs vary across the country based on a number of factors. Some aesthetic specialty physicians charge by the unit of product. This allows them to charge more or less depending upon the specific patient’s need. Be sure to ask your physician the estimated total cost of your treatment. Potential risks include allergic reaction, headache, bruising (if injections occur while taking aspirin or anti-inflammatory medications or if you’ve had alcohol within the previous week), redness and numbness at the injection site. There is a slight risk of paralysis of nerves adjacent to the injection site. If you are pregnant, nursing or have a medical condition, make sure you discuss the possible risks with your physician. OnabotulinumtoxinA is not recommended for pregnant or nursing women. 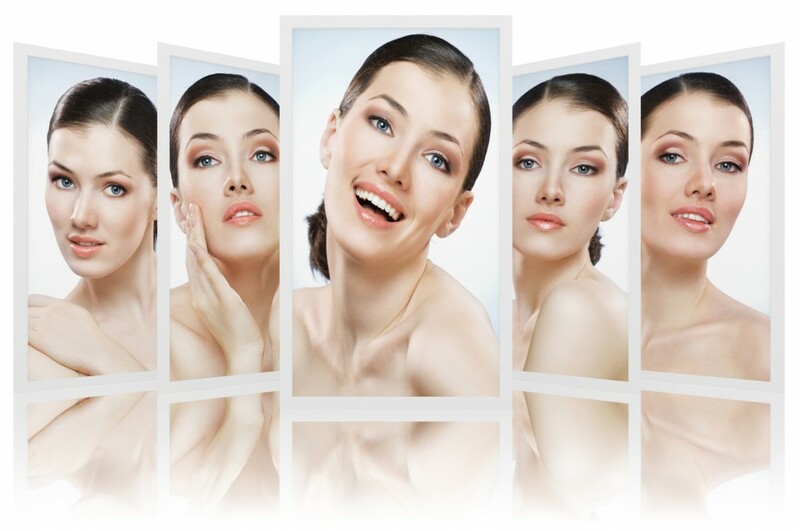 Hyaluronic acid fillers (Elevess, Hylaform, Juvéderm, Voluma, Perlane, Restylane and others). Hyaluronic acid is a natural substance found throughout all living animals. It absorbs more than 1,000 times its weight in water, thus adding volume to the skin’s surface. With age, however, hyaluronic acid concentrations drop, causing wrinkles and folds. These fillers are used to temporarily replace lost hyaluronic acid and restore skin volume.Hyaluronic acid dermal filler injections typically take less than 30 minutes to perform. Hyaluronic acid injections last between three and five months, depending on your body chemistry, lifestyle and the rate at which you are aging. Most people receive new injections two to three times a year. Collagen fillers (CosmoPlast, CosmoDerm, Zyderm, Zyplast and others). Collagen is a protein substance found in all human and animal tissue. It makes your skin, bones and ligaments tough while providing structure. Collagen is often used for filling wrinkles and lines and scars on your face, neck and back. Zyderm and Zyplast cosmetic injections use collagen from cattle, called “bovine collagen.” CosmoPlast and CosmoDerm injections use highly purified human collagen, a natural protein that supports the skin and helps replenish collagen lost with time, exposure to sunlight and other factors. Other collagens used in cosmetic procedures include collagen from human cadaver skin that has been sterilized, purified and processed into a liquid form. Brand names of this form include Cymetra, Dermalogen and Fascian. These fillers are rarely used anymore.Collagen injections typically take less than an hour, and for best results, should be repeated every one to two months. Plastic surgeons and dermatologists are best suited for providing collagen injections. Rare side effects include the formation of small, temporary bumps beneath the skin, infection and scarring. Polylactic acid is a compound used in numerous medical products, such as stitches and screws used to repair broken bones. Although Polylactic acid has only been approved to restore shape and contour to the faces of those with AIDS, it is often used “off label” for cosmetic treatments. Polylactic acid treatments do not produce immediate results because they stimulate college production, so it may take up to a few months the full effect. Although polylactic acid is considered semipermanent, you may need an occasional touch-up treatment. Brand names include Sculptra and New-Fill. Chemical peels. A chemical solution is “painted” onto your face to literally “peel away” damaged top layers of skin. Solutions range from mild alpha hydroxy acids to stronger acids like trichloroacetic acid (TCA) and phenol. It takes from 15 minutes to two hours for a chemical peel, depending on the strength of the peel.Chemical peels cost an average of $764; specific cost depends on the strength. Aestheticians may perform mild peels. Plastic surgeons or dermatologists are your best bet for stronger peels. Microdermabrasion. A more superficial form of dermabrasion (described below), microdermabrasion uses crystals or a diamond tip to lightly smooth the top layer of your skin. It is used for fine lines, crow’s feet, age spots and superficial acne scars. Microdermabrasion takes about 30 minutes and requires no anesthesia. For best results, many people start with a microdermabrasion treatment every two weeks and then move to one per month as maintenance. Each session costs about $154.Microdermabrasion may be performed by aestheticians, licensed cosmetologists, plastic surgeons or dermatologists. Complications are rare. Aging, sunlight, smoking and dryness all contribute to the wrinkles, brown spots, large pores, redness and other imperfections women try to correct with nonsurgical cosmetic treatments. For instance, as you age, the top layer of skin doesn’t turn over as often, leaving dead skin cells on the surface longer and giving your features a dull appearance and texture. This is also when the sun damage of your youth comes back to haunt you. That sun created free radicals that broke down the collagen in your skin, as well as the elastin fibers that keep skin flexible. If you’ve spent a lot of time in the sun, your skin may even have a leathery appearance. Protecting yourself against the damaging effects of the sun by wearing sunscreen that protects against UVA and UVB rays. Put it on just like you put on moisturizer every morning (many moisturizers contain sunscreen), even if it’s cloudy outside. Just sitting near a window or riding in a car exposes your skin to the sun’s rays. Stopping the aging process and living eternally has been an enduring human desire, sought by Egyptian pharaohs, Chinese emperors, and Ponce de Leon’s search for the Fountain of Youth. Cosmetic medicine has developed a number of nonsurgical procedures that can camouflage the effects of sun exposure and the passing years. These procedures seem to be gaining in popularity versus surgical procedures. Chemical peels use a variety of substances to damage the skin in order to exfoliate the outer layers. The depth of the peel depends on the type of chemical, its concentration, and the length of time it remains on the skin. Glycolic acid, lactic acid, salicylic acid, trichloroacetic acid (TCA), and phenol are some of the chemicals used in cosmetic peels. There is an improvement over the skin’s pre-peel state after the skin heals. The use of lasers is just one of many approaches to the treatment of brown spots or patches, including “pregnancy mask” (melasma). The doctor will determine the best treatment depending on the patient’s skin color, the extent of discoloration, and their experience. Intense pulsed light (IPL) technology exposes human tissues to broad spectrum (non-laser) light sources that produce sufficient heat to destroy colored molecules that can absorb the light. In the case of human tissue, this involves melanin (skin pigment) and hemoglobin (blood pigment). When used appropriately on aged or pigmented skin, IPL can improve the skin’s appearance. Cosmetic fillers add substance to skin in order to lift up areas that are sinking. Certain wrinkles, depressed scars, and hollows can be camouflaged using this technique. The substances that have been used are varied and include one’s own fat or fibroblasts, poly-L-lactic acid, hyaluronic acid, calcium hydroxyapatite, polymethylmethacrylate beads, and even silicone. Some of these substances produce improvement by enhancing collagen in the area injected, which adds volume to the tissue beneath the skin, and helps smooth the appearance of lines or wrinkles. The anatomy of the aging face is now better understood than in the past. Aside from increased wrinkling, there is a loss of fat in the cheeks and temples, and an increase in fat in the neck. As shown in this photograph, a filler has been used to plump a woman’s sunken cheek area. Just because a health care provider offers a treatment doesn’t mean that person is qualified to perform the treatment. Ask for references, talk to patients and confirm certifications. Plastic surgeons and dermatologists are the most qualified professionals available to provide most nonsurgical aesthetic treatments. What are the most important things I should know about nonsurgical aesthetic treatments?Nonsurgical aesthetic treatments are medical procedures, and with any medical procedure there are potential risks. If you have realistic expectations of the results, understand that most treatments are not permanent and may need to be repeated in a few months or a year to maintain results, and carefully research your options and the aesthetic specialty physician who will provide the treatment, you can achieve a natural, refreshed look that enhances your appearance. Are aesthetic injectable products such as Botox Cosmetic and dermal fillers safe?Yes. The U.S. Food and Drug Administration (FDA) reviews significant clinical data on the safety and effectiveness of all drugs and medical devices before approving them for marketing in the United States. Some products have years of clinical history for other conditions before being approved for cosmetic procedures. Botox, for instance, has been approved in the United States for more nearly 25 years to treat a variety of medical conditions. Is it really true that I can get a “lunchtime facelift?”That depends on what treatment you’re having. Some treatments, like dermal fillers and microdermabrasion, can provide smoother, younger-looking skin in just a few minutes. Others, such as laser resurfacing, may take days or weeks to heal. What is the best way to find a aesthetic specialty physician who provides nonsurgical aesthetic treatments?Go to the websites of the major plastic surgery and dermatologic societies listed in the Resources section. They have searchable databases allowing you to find physicians in your area who provide cosmetic treatments. Also talk to friends who have had treatments and to your primary health care provider for recommendations. Just make sure you check physician credentials carefully, ensuring they are qualified to perform the specific treatment. Even though many of these nonsurgical treatments are less expensive than surgery, they’re still too expensive for me. Is there any chance my insurance company will pay for part of it?It’s highly unlikely. Most insurance companies don’t cover elective treatments. However, if you are having a filler for a medical reason, like restoring your appearance after an accident, or if you have loss of fatty tissue related to AIDS, it might be covered. Also you can talk with your physician about financing options. The idea of getting shots into my face gives me the willies. But I really need to do something to bring back some freshness. Any suggestions?Not all treatments require needles. Facial resurfacing with microdermabrasion or dermabrasion, for instance, are needle-free. To reduce pain associated with aesthetic treatments, your doctor will use either a local anesthetic-to numb the area being worked on-or a general anesthetic, to put you totally out. If you opt for injections, most doctors use topical anesthetics to numb the area first. How do I know if my doctor is qualified for the aesthetic treatment I want?Ask a potential doctor about his or her credentials. Where was he/she trained? In what specialty did he/she do her residency? Did he/she complete a specialty fellowship? What are his/her board certifications? Also ask where your doctor trained on the treatment you’re having. If at any time you don’t feel comfortable with the answers or the doctor, find someone else. My doctor says she has a “cheaper” alternative to the dermal filler I asked about. How can I find out about it?The FDA must approve all medications and medical devices before they can be marketed in the United States. The FDA also approves all devices used in treatments like dermabrasion and laser therapies. Most dermal fillers are considered medical devices. My doctor is recommending Sculptra dermal filler, but I see it was only FDA-approved for people with AIDS. How can it be used for cosmetic reasons?Once the FDA approves a medical device or drug and it is on the market, physicians can use it for any reason. This is called “off-label” use, and it is legal. Sculptra is often used off label for cosmetic reasons, as are other nonsurgical aesthetic procedures.